Self-Care Week 2011 is following the lead of Men's Health Week and focusing on technology. The Week, which takes place from November 14-20, aims to help people take care of themselves, and lets them know what’s available to help them look after their health. 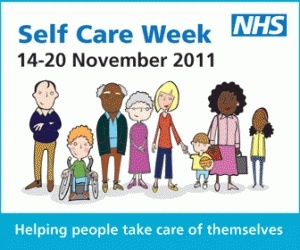 This year’s campaign is being run by the NHS in partnership with the Self Care Forum. Technology is changing the way we manage our health. Mobile phone apps like NHS Direct and the MHF's Bloke Noises allow you to check your symptoms if you are feeling unwell, get an assessment, information about your condition and advice on how to look after yourself. Telehealth monitoring equipment enables people with complex conditions to stay at home, but also still stay in touch with their GP or other health professional. A dedicated Self Care Week Landing Page is now live on NHS Choices - www.nhs.uk/selfcare - which will provide a first port of call on all things self care.